Beginning life in 1896, Roche made a name for itself as the first company in the world to mass produce synthetic vitamin C, as well as being the first to introduce the class of benzodiazepines tranquilizers, known more commonly by the brand names Valium and Rohypnol. The company also broke ground when they inadvertently created the world’s first antidepressant, iproniazid, while synthesising isoniazid as part of an effort to battle tuberculosis in 1956. Today, Roche is the world’s third largest pharmaceutical company, and employs over 94,000 people. The company has revenues of $53,427 million, placing it at #169 on the Fortune Global 500. General Electric (GE) is one of largest companies in the world, with revenues of $126,661 million, placing it at #13 on the Fortune 500. It’s this lofty status which made GE’s healthcare arm the ideal partner for Roche to develop a digital diagnostics platform with which to improve the clinical outcomes for oncology and other critical care patients. The aim of the project is for the two industry giants to use advanced data science and analytics to drive innovative new workflow solutions and applications which can then be used to inform and support clinical decision-making. Patient records, medical best practice, real-time monitoring, and up-to-date research developments can be combined with both in-vivo and in-vitro data to empower seamless integration and analysis. Clinicians are then able to develop a more complete picture of all treatment pathways available to them. For the uninitiated, in-vivo diagnostics are tests or observations carried out on the living tissue of a whole living organism in a controlled environment, such as a doctor’s surgery. In contrast, in-vitro diagnostics are designed to detect diseases, conditions, or infections. Some tests are carried out in a laboratory setting, and other tests are for consumers to carry out at home. One possible application of the new platform will be to provide oncology care providers with a digital dashboard, enabling access to a comprehensive suite of relevant data streams. This will allow them to review clinical decisions at every stage of their patients’ cancer treatment journey. Cancer patients can often feel out of control, and like an inactive passenger during treatment, so the more data that is available the more informed and involved they can be. In a critical care hospital, monitoring equipment data can be integrated with biomarker, genomic and sequencing information in real-time. This will give clinicians the flexibility to identify or predict potentially fatal complications before they become a severe problem. In partnership with GE Healthcare, Roche is bringing together the power of data science and digital technology to improve the clinical experience, and outcomes, for oncology and critical care patients, and their physicians. The final word goes to Kieran Murphy, President & CEO of GE Healthcare. 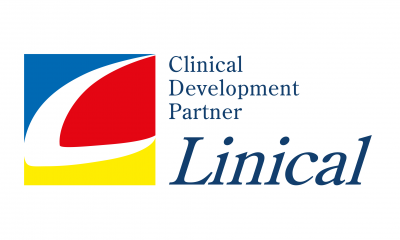 Download the agenda today for more information and insights on Clinical Innovation Partnerships.